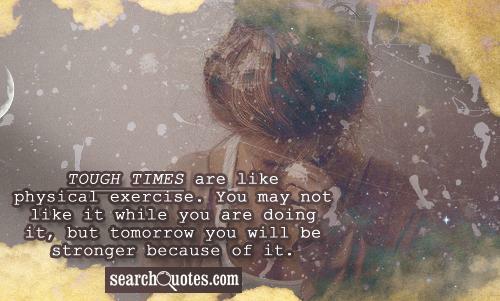 Tough times are like physical exercise. You may not like it while you are doing it, but tomorrow you will be stronger because of it. Everyone goes through at least one period in which they feel like it is a suffocating, unbearable burden weight on their shoulders that they will never be able to get rid of, and wonder if they will ever get past the pain felt at those moments in their lives. Remember in times like these that this too shall pass. Times will all change and neither bad times nor good times last forever. In order to get through the rougher periods of our lives it is imperative that we live as positive of a lifestyle as possible. 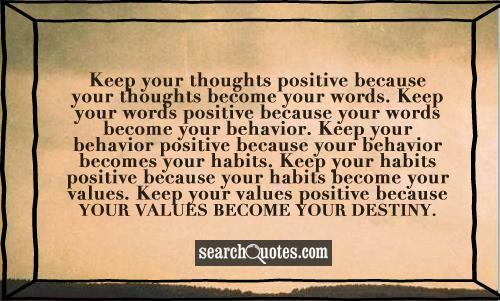 To keep moving forward in life it is a must that we keep a continual attitude of positivity, and excellence. Keep a smile on your face, even in the most trying of times. Keep being yourself as well. Many times when life gets us down, all we desire for is some normalcy after tragedy. During these difficult times we must remember to fully engage in life, and to live to reach and surpass our potential, we have to continue to be ourselves and no one else. Doing so will lead to the ultimate happiness, and is the only way to truly be fulfilled. 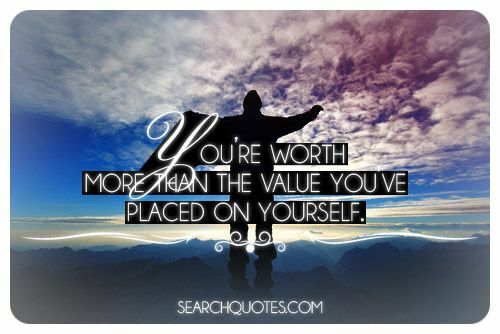 You're worth more than the value you've placed on yourself. In our lives we must accept that our self worth isn't determined by anyone else but ourselves. Many of us have endured hardships and circumstances so bad that we can't find it in ourselves to know how much we are really worth, and we instead turn to others. Though there may be people in your life that support you and encourage you we have to realize that people are only human, and at any given time we are liable to be disappointed by them. 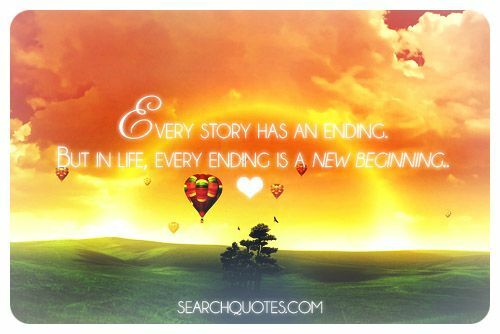 Every story has an ending. But in life, every ending is a new beginning.. Though life seems to be able to get us down by giving us its biggest forms of discouragement in the times when we know that we need encouragement, we have to realize that it is never too late to reach our dreams and to see everything that we have envisioned in our minds for our selves come to fruition. You shouldn't give up. Fight for yourself and who you are. 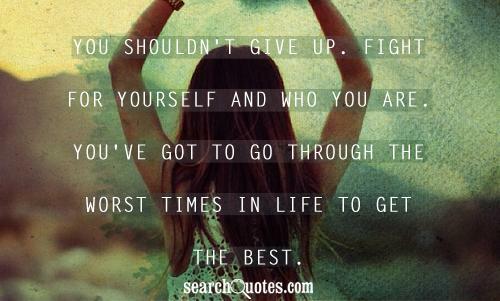 You've got to go through the worst times in life to get the best. Sometimes life requires us to do nothing more than to just "hang in there" after we face the severest of storms and difficulties. Nobody ever told us that life would always be easy, but we must always keep in mind that while we still have breath to live, everything is going to be all right.